I am often asked what the most interesting document is, in relation to the UFO phenomenon. And for many years – I chose Air Force Instruction 10-206 as one of a select few. That is, until it mysteriously vanished. The background behind my discovery of Air Force Instruction 10-206, is pretty short and sweet. I wanted to get proof of the fact that the U.S. Military and U.S. Government was still, decades after the closure of Project Blue Book, interested in the UFO phenomenon. I stumbled on AFI 10-206 by accident back around 1999 / 2000 I believe it was (don’t be confused by the document saying 2008 above — that’s simply a later revision). 5.1. Subject and Purpose. This report provides vital information to the security of the United States and Canada which, in the opinion of the observer, requires very urgent defensive action or investigation by the US and/or Canadian Armed Forces. 5.2. Submitted By. Any Air Force personnel. 5.3.1. Airborne reports: US, Canadian military, or civilian communications facility. 5.3.2. Post-landing reports: Commander, North American Aerospace Defense Command (NORAD), Cheyenne Mt, Colorado, or HQ Northern NORAD Region, North Bay, Ontario, Canada, whichever is more convenient. If landing outside Canadian or US territories, submit reports through the nearest Canadian military or diplomatic representative or US. 5.4. When Submitted. As soon as possible after the intelligence sighting. 5.5. How Submitted. Reports are normally UNCLASSIFIED but handled as FOUO. 5.5.1. Use the most rapid means of transmission available. For airborne reports, use the same procedures as for air traffic control. When pilots cannot establish contact with a ground station, make maximum effort to relay the report via other aircraft. 5.5.2. To avoid delays while airborne, repeat the word CIRVIS three times before the message to preempt all other communications (except distress and urgency). If this fails to clear the frequencies, use the International Urgency Signal “PAN” spoken three times. For the ground relay of airborne reports or post-landing reports, use FLASH precedence. 5.6.2.1. Issue initial CIRVIS reports while airborne (or as warranted, upon landing). 5.6.2.2. Issue post-landing CIRVIS reports if airborne reports made. 5.6.2.3. Issue follow-up CIRVIS reports by anyone with additional information about an earlier report (refer to the initial report). 5.6.2.4. Issue cancellation CIRVIS reports once sightings are positively identified as friendly or determined it was erroneously reported. 5.6.2.5. Submit evaluation CIRVIS reports to each addressee of the above CIRVIS reports. Promptly submit evaluation reports to keep all interested parties fully informed. 5.6.3.1. Hostile or unidentified aircraft, which appears directed against the United States, Canada, or their forces. 5.6.3.4. Hostile or unidentified military surface vessels or submarines. 5.6.3.5. Any other individual surface vessels, submarines, or aircraft of unconventional design engaged in suspicious activity, observed in an unusual location, or on a course, which may threaten the United States, Canada, or their forces. 5.6.3.6. Any unexplained or unusual activity, which may indicate a possible attack against or through Canada or the United States (includes the presence of any unidentified or suspicious ground parties in remote or sparsely populated areas, including the polar region). 5.6.3.7. Unlisted airfields, facilities, weather stations, or air navigation aids. Granted, there may be a whole lot of nonsense in there that doesn’t mean much to you, but check out 5.6.3.3. 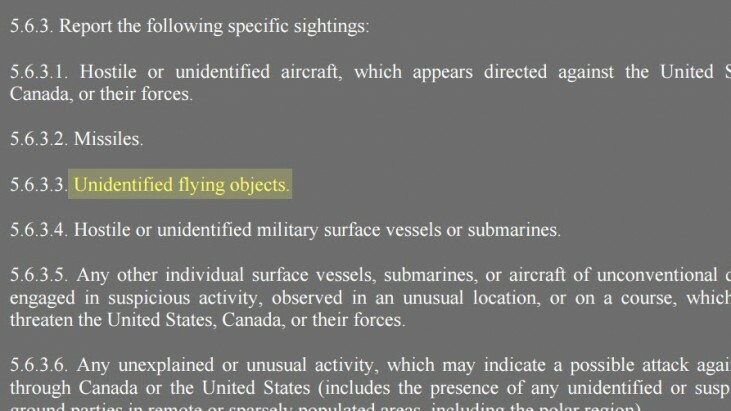 “Unidentified Flying Objects.” So, what does that mean? If you take the company line, then you believe the U.S. Military, ESPECIALLY, the U.S. Air Force, cares nothing about the UFO phenomenon. So, if that were true, why would they have a regulation still on the books, mandating that all military pilots report them? (That is, still on the books at the time I discovered it – make sure you read through until the end). 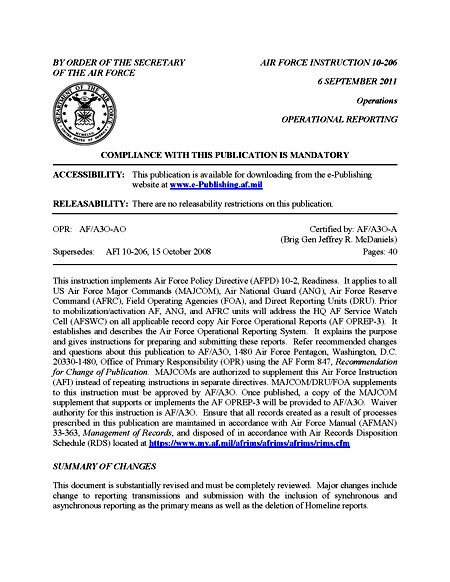 Air Force Instruction 10-206: Screen shot on where to send all CIRVIS reports. Not sure how you spell, “convenience,” but my guess it will include the above somehow. There aren’t many places that are not subject to the FOIA, and wouldn’t you know, that all “UFO” information, better known as CIRVIS reports, are sent to one of those places. Hmmm. The letter went on to state that in the spirit of the FOIA, they looked for UFO information but found no records. In essence, they claimed there were no CIRVIS / UFO reports that were ever sent under Air Force Instruction 10-206. That’s odd. Not one? Well, you’re going to to kick me on this one because it took me over a year before it dawned on me. The answer to this riddle laid within the letter above. Under the U.S. Freedom of Information Act, NORAD was exempted, as it was under Canadian control as well as American. Therefore, U.S. law did not apply. However, after about a year of thinking about it, I thought maybe the Canadian government had an equivalent that I could use to access the documents. I learned that there was the “Access to Information Act (AIA).” This was, for the most part, identical to the FOIA here in America, but I just didn’t know if a U.S. Citizen could use it. A very awkward silence ensued. He had no idea who I was, why I was calling, or even the fact that the call had to do with UFOs or CIRVIS. This was not a UFO office. This wasn’t a special CIRVIS division. This wasn’t even after being placed on a hold. He had them, within arm’s reach, and it took only seconds for him to grab them. What happened next was pretty obvious. I asked if I could get a copy of them. He asked for my VISA, and I’ll tell you that was about the best $3 (U.S dollars) I ever spent. However, before I got off the phone, he said something I didn’t expect. “You know, this isn’t all of them!” He informed me that there were many more CIRVIS and UFO related reports in the Archives division. Years later, through the assistance and generosity of researcher Michel Deschamps, I have also obtained those documents. You can download those pages, here. For a few years, I would bring up the above find in my public speaking. In fact, I even worked it in to a History Channel documentary I was writing at the time, and I spoke about it in a few television interviews. But I didn’t feel it was getting the attention it deserved. 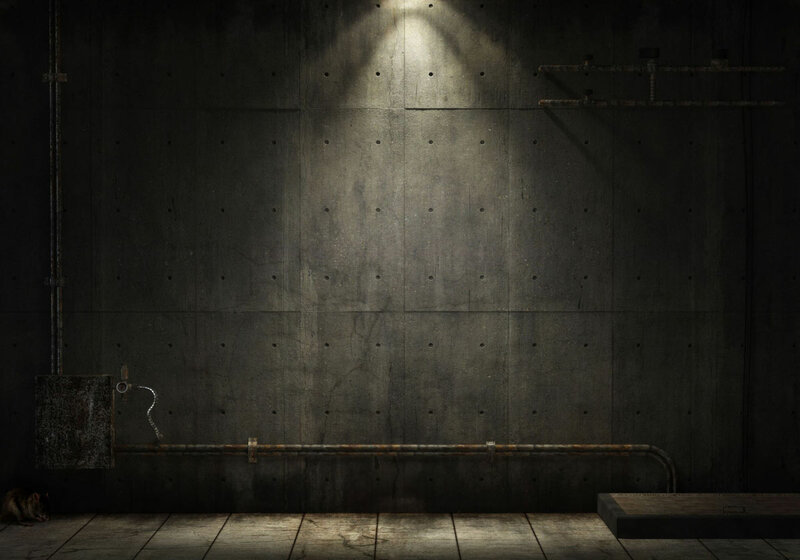 However, in 2011, my friend, investigative journalist Lee Speigel from the Huffington Post, decided to do an expose on my work and The Black Vault. So, I gave him a short list, which included this very find. I felt then (as I still do now) the above document, along with my trouble to get it, is an important piece of evidence. I even showed Mr. Speigel that he didn’t have to take my word for it – I found it could be directly downloaded from the Air Force itself, on their website, and I pointed him in the right direction to get it. You had to dig quite a bit — but it was there! And it was amazing it was right there in the open. It was just that nobody was looking hard enough to find it! While investigating my claims and the information, he did what any great journalist would do. He contacted the Air Force at the Pentagon, to get their side of it. Why would they still, after all these decades, have a UFO regulation ‘on the books’ if they claimed no interest in the phenomena after their investigation that ended in 1969? He received no written response or return calls at this point. A few days later, with a deadline looming, Mr. Speigel went back online to download the manual again, and finish his article. Air Force Instruction 10-206, 2011 version freshly edited after the Huffington Post enquiry. I received a fairly frantic, but excited call, late on a Friday evening. I was in Los Angeles, while Mr. Speigel was in New York. It was late for me, so with the time difference, I figured this had to be good since it was SO late for him. I must admit, I never expected what he was going to tell me. When I answered, he informed me that while re-downloading the Air Force Instruction 10-206, he discovered that Chapter 5 was ‘missing’ and had been replaced with something on hurricanes. The references to UFOs, CIRVIS and the entire reporting procedure — had vanished. To be honest, and with all due respect to him, I thought he messed up. Government archives are archaic, disorganized at best, and it’s easy to click on the wrong thing. So I told him when I got home, I’d find the correct link and shoot it over to him. But I was wrong. 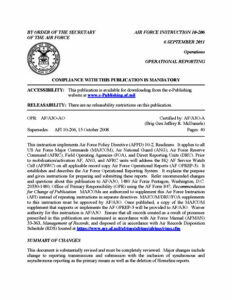 The Air Force, within 72 hours after the Huffington Post inquiry, deleted the entire chapter, modified the instruction, and silently republished it online with a brand new publication date. Chapter 5 was, in fact, about hurricanes. CIRVIS was completely omitted. It was like a different publication all together. Today, AFI 10-206 has been revised again, and is current a/o 12 April 2016. AFI 10-206, and the amazing vanishing act, in my opinion, is an important piece of evidence for this field. And if you think it was just simply an old, outdated, publication that was changed because it was long forgotten and Mr. Speigel just brought it up to them — think again. While I was lecturing about it for many years, I watched as AFI 10-206 was edited and republished multiple times. I would update my powerpoint presentation, to ensure I had the most recent copy to show audiences. Those changes prove that they had every opportunity during those edits to remove CIRVIS and UFOs. Yet, after each edit, the entire chapter was untouched and UFOs remained in. Do you believe it was simply a coincidence, that this revision which entirely removed the chapter dedicated to UFO sightings and CIRVIS reports, would by some amazing chance, come within 48-72 hours of a major media organization attempting to put a spotlight on it? Post your thoughts below – and let me know! Because I sure don’t believe it.